In the cultural Prenestino neighborhood, is located AFFITTO STUDENTI ROMA, 8-storey buildings recently renovated and composed of different type of studio, two rooms and three rooms apartments. The buildings were recently renovated internally and externally. 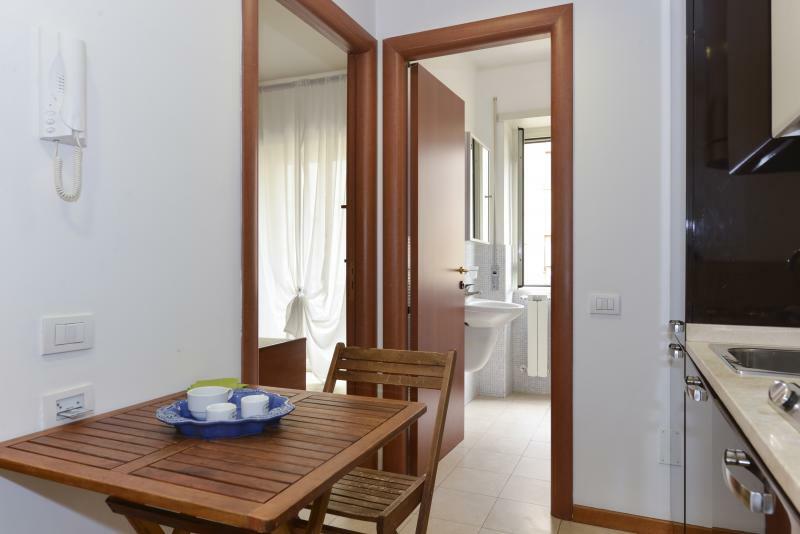 The position of the residences well connected by public transport to the city centre, Termini Station and Tiburtina Station, La Sapienza University, is ideal destination for students. The comfortable apartments are well illuminated by big windows (someone has balcony), with WIFI connection, centralized heating system and furnished in a modern style. The monthly rent is the perfect solution for whom has to stay for long staying, for exams and Erasmus students. A highly qualified staff, always available to satisfy any demand and information with a professional service, guarantees tranquility and privacy, offering the service of a place well organized, fresh and kindly.